If your one of the many companies out there (and there are many) who are still using a fragmented approach to business software and have thought about finally taking the big step in adopting a fully integrated business management software system then there are a few key points you should consider. Business Management Software is by its nature a complex beast and choosing the correct one can be a difficult proposition. 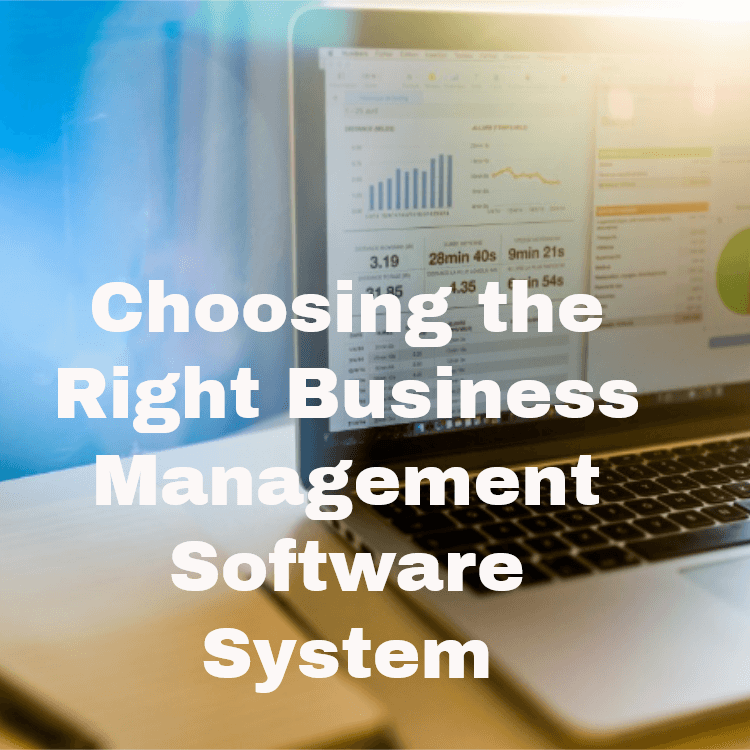 If you haven’t selected business management software before, you might be wondering how to tell which application is right for your company. There are several factors to consider; here are the top three. This is crucial. Getting the software to do what you want to do rather than the less than ideal scenario of getting a piece of software that forces you to change the way you do business. It may seem like a simple question, but remember that you’ll probably want to keep adding functionality to your system as you grow. Choose software from a vendor that provides the functions you need now – like Job Costing, invoicing or e‑commerce – as well as those you’ll need as your business changes and grows. This is where you decide in whether the Business Management Software is going to give you the return on investment. This is where you make sure that your implementation partner can provide you with a detailed project scope as well as ongoing maintenance. Another factor to consider is the future! Will the software scale to your needs and requirements giving added functionality and offsetting and depreciation as time goes on. Choose software that can be installed and supported by knowledgeable partners. Make sure that the partners have a close relationship with the vendor and that they’re able to receive ongoing training and support. Often, businesses form long-term relationships with their software partners; the right partner can help you meet your business goals as they evolve and as your company grows.